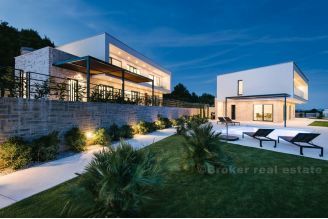 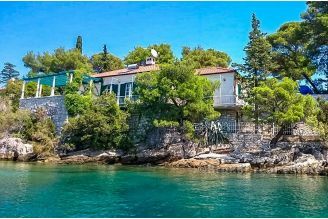 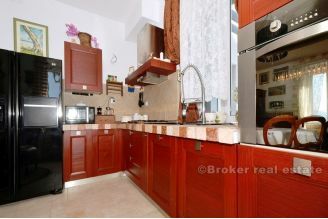 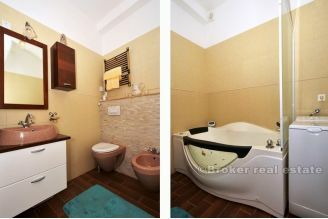 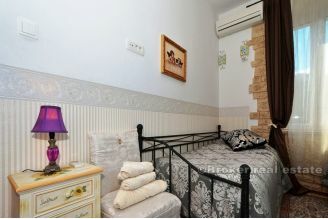 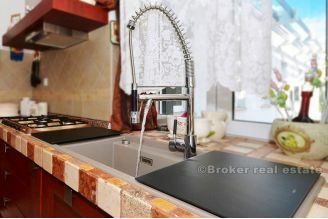 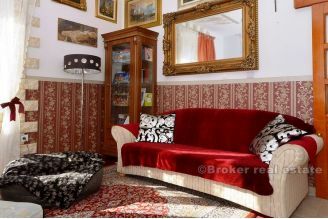 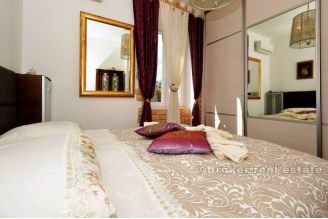 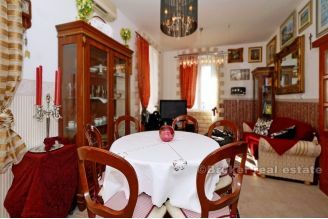 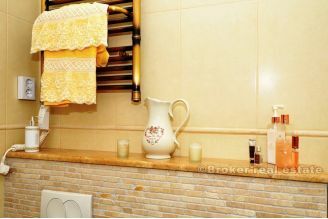 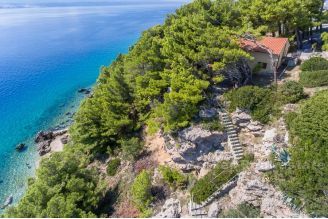 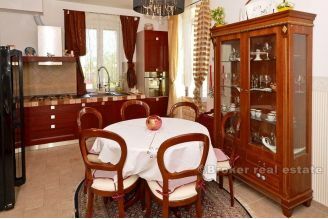 Three bedroom apartment located on the first floor of a beautiful stone house, not far from the city of Split. 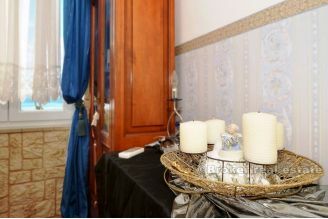 The house is located next to the promenade by the sea, and offers a beautiful view of the sea and the surrounding area. 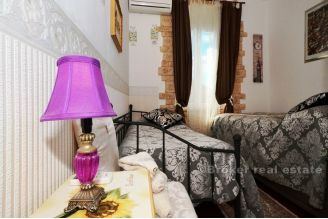 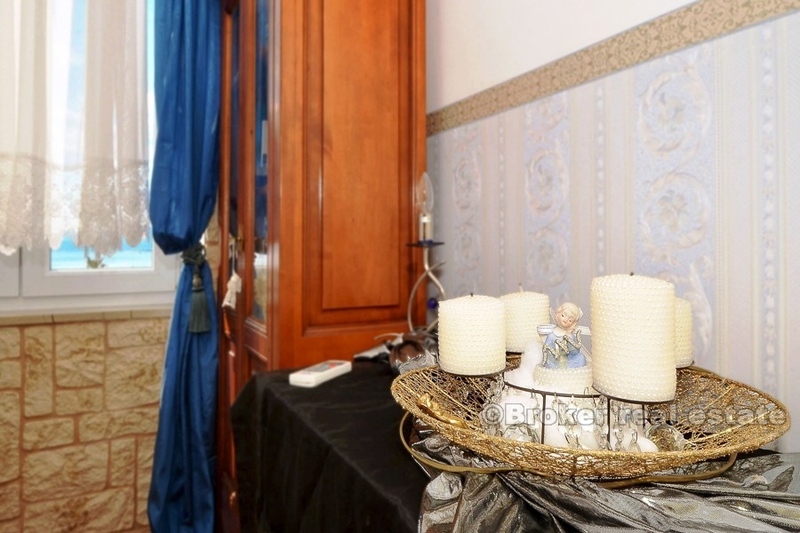 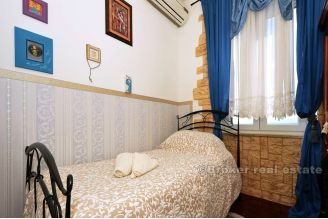 Except for a lifetime and a pleasant stay throughout the year, the apartment is ideal for family vacations since it is located near all tourist facilities. 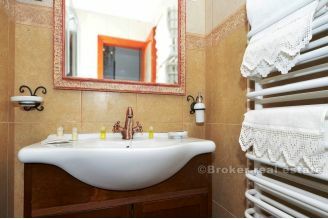 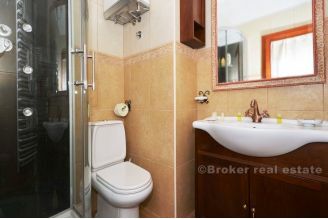 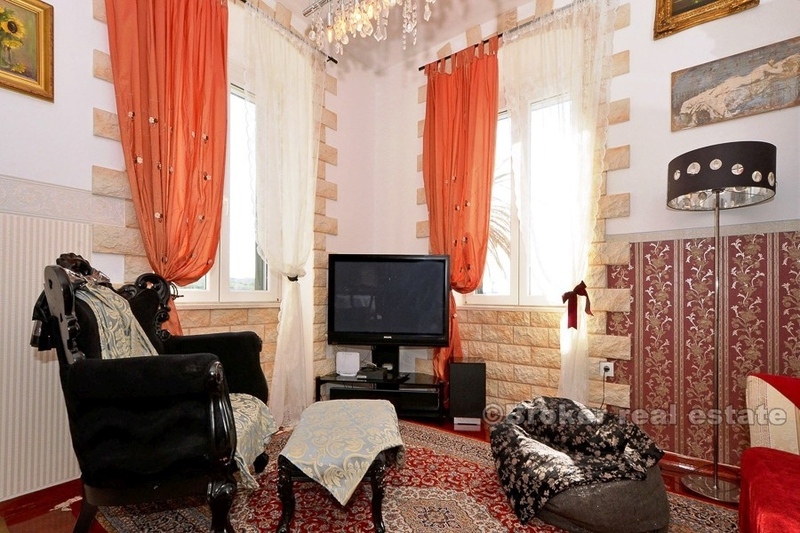 Total living area 78 m2, the apartment consists of fully equipped kitchen, dining room, living room, three bedrooms, two bathrooms - one of which is equipped with a Jacuzzi. 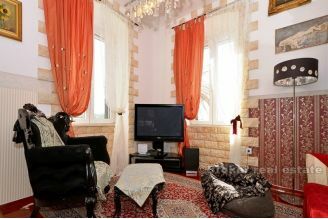 In front of the property is a nice yard, ideal for children. 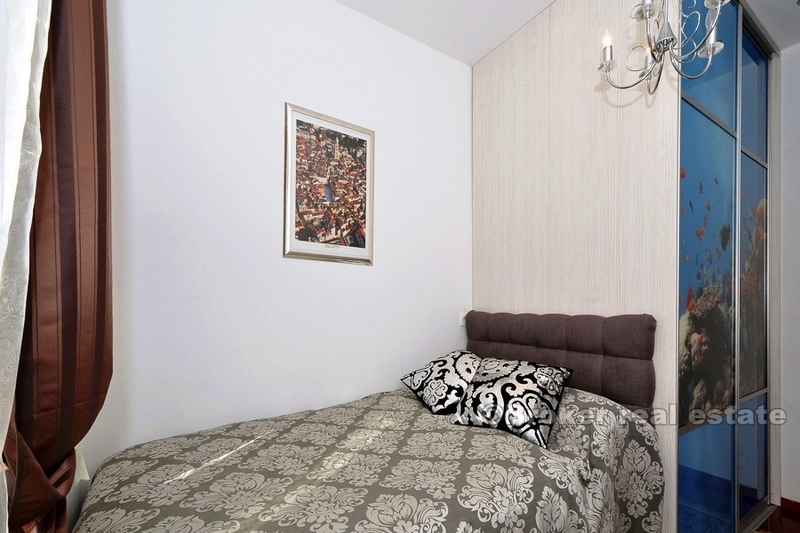 Parking is also available in front of the house, and all necessary facilities are nearby.